If you have led an unhealthy lifestyle in your youth, there is still time to turn things around. A new vein of research has found that middle age is a crucial time in our life-cycle for beginning and maintaining a healthy lifestyle, in order to maintain our quality of life well into the elderly years. One study in this line of research looked into the effects of a healthy lifestyle on cardiovascular health in menopausal women. The researchers analyzed data gathered on 3,302 women, aged 42-52, as part of the Study of Women’s Health Across the Nation (SWAN), which began in 1996. The participants were followed for up to 15 years, responding annually to questionnaires and having a physical medical exam each year, including at least one coronary artery ultrasound through the duration of the study period. The ultrasound is noninvasive but provides a clear view of a patient’s cardiovascular health. The researchers were especially interested in examining the effects of a healthy diet during menopause on atherosclerosis later in life. Atherosclerosis is the natural narrowing of the arteries as we age. The process can be quickened by the presence of risk factors for many cardiovascular diseases. The women were given a “Healthy Lifestyle Score” based on a scale devised by the researchers responsible for the study. Those with the highest scores showed the lease amount of atherosclerosis, meaning they had wider arteries than those with the lowest scores. The highest scoring participants also had less fatty plaque buildup in their arteries, compared to the lowest scoring. The researchers chose menopause as the time for the beginning of the study due to its effects on heart health. 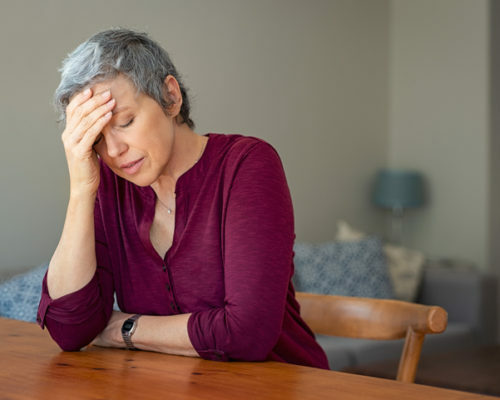 During menopause, metabolic changes cause cholesterol and blood pressure to naturally increase in women, raising their risk for heart attacks, strokes and cognitive impairment down the road. They advise women in this age range to take control of their heart health by making positive changes for a healthier lifestyle. They recommend quitting smoking, consuming a healthy diet, and maintaining or increasing physical activity to ensure the best cardiovascular health possible moving into the elderly years.